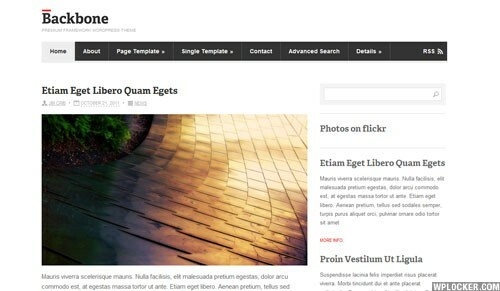 A powerful theme framework with infinite customization possibilities. Backbone features numerous child themes, built-in page templates, a powerful theme panel and more. An important thing about a theme framework should be the ultra clean, simple design that gives way to a vast array of customization possibilities, layout and features. Backbone is developed with the new and veteran WordPress users in mind and we will pack this framework with vast array of customization possibilities, layout, features and first rate SEO optimization for ease of use and expandability.